Ozark Mountain Open 2013 is Almost Here!!!! 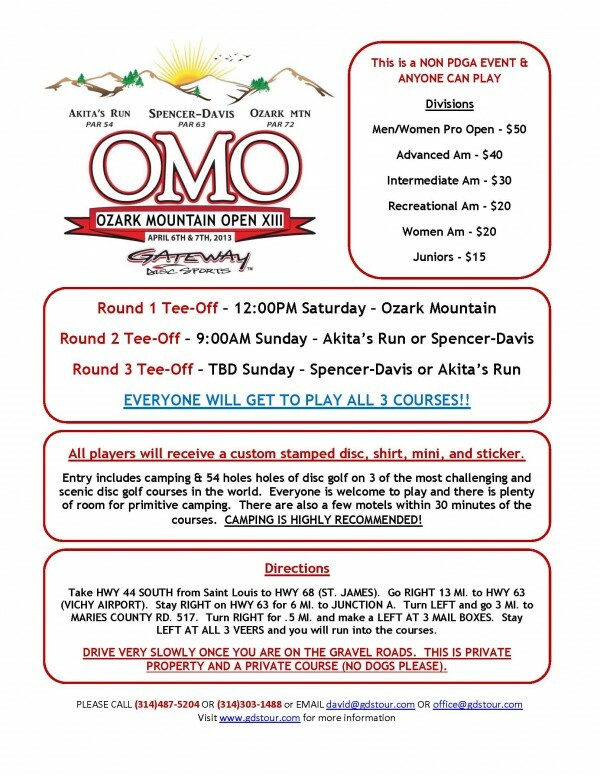 Home »Disc Golf»Ozark Mountain Open 2013 is Almost Here!!!! ← Previous Previous post: Ozark Mountain just 3 weekends away!!!!! I can’t wait!!! This is my favorite event of the year (twice). It reminds me of what disc golf is all about. I leave humbled every time. Great disc golf, great people, great fun. p.s. It’s always colder than you think, so bring that extra blanket.